Over the last two years, NanoDiode has organised a wide range of activities as part of its overall programme for outreach and dialogue on nanotechnologies. We have been busy holding surveys and interviews, organising workshops, competitions and dialogues, compiling the NanoTube and hosting NanoBazaars and the NanoGallery, among many other things. 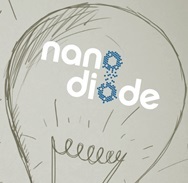 In the third and final year of the NanoDiode project, we will take a step back and consider the overall project findings in the bigger scheme of things: what are the most important results from all these activities? What do the findings contribute to the broader question of nanotechnology governance? What are the main recommendations for future outreach and dialogue on nanotechnologies? NanoDiode partners are currently discussing these questions as part of work package 6 on assessment. The assessment report will be available at the end of 2015. The overall findings of the project will be presented and discussed in two upcoming events. A workshop on stakeholder engagement will be held on 4 December 2015. The final results of the project will be presented during the NanoDiode Closing Event on 31 May 2015 in Brussels. The closing event is open to all those interested in the governance of nanotechnologies.